More than a year ago, Irestal Group started the implementation of its business plan and refinanced its long-term debt for the amount of 30 million Euros, in addition to refinancing its working capital lines. The company also capitalised on resources garnered from the capital gains upon the sale of its subsidiaries in Ukraine, the Czech Republic and Slovakia, as well as some land holdings in Poland (Katowice). The company also sold its shares in the Group’s German subsidiary to reduce debt and to pursue its internal restructuring plan that has already been implemented. During this period, Irestal Group worked on consolidating its traditional markets (where the strong performance in Great Britain is particularly noteworthy) and strengthened its presence in the US market. The company increased the production of large pipes and specific applications for the chemical industry and the automotive sector. Among the projects planned for 2015 and 2016, it is worth highlighting the development of the Group’s plant in Shanghai, in a joint venture with the Chinese group Tsingshan Iron & Steel Group. The purpose of this development is to cater to the strong demand from Asian markets. 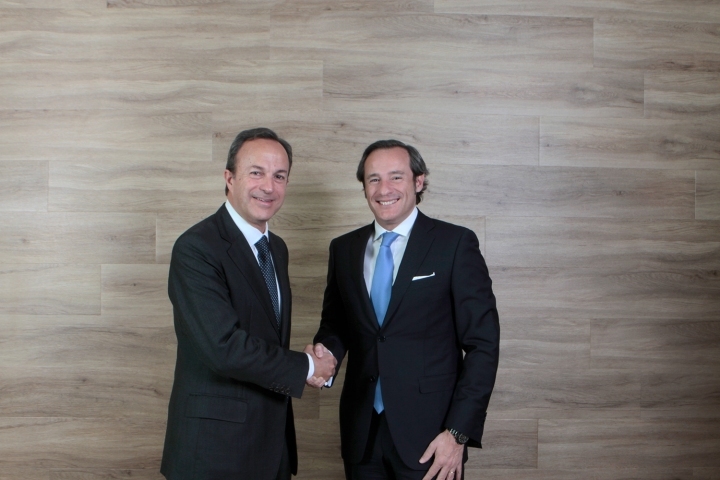 For Joaquim Boixareu, CEO of Irestal Group, the agreement with BTC means, “reinforcing the company’s strength, to allow us to grow even faster and increase sales in our target markets, ultimately finishing the strategic plan started two years ago”. In opinion of Ramón Betolaza, Founding Partner of Black Toro Capital, feels that, “This investment in Irestal Group, a leading company in the steel industry with an exceptional team, confirms our commitment to the Spanish industrial companies betting for leading enterprises of their own areas. Our goal is to be a strategic partner for Irestal Group and underpin the relaunch of its industrial plan and its international consolidation”. About IRESTAL GROUP. Irestal Group is a renowned multinational company in the stainless steel industry. With over 15,000 clients around the world, the company has industrial facilities in Catalonia, Galicia, Birmingham, Shanghai, New York and Moscow. The Boixareu family is the majority shareholder of Irestal Group. About BLACK TORO CAPITAL. Black Toro Capital, with offices in Barcelona, Madrid and London, is an investment fund that specialises in direct investments in Spanish companies to foster the fulfilment of their business plans and drive their growth. As part of the Trea Group, BTC identifies and structures investments in companies that require financial resources to keep growing. BTC provides “patient” capital to companies with a mid- to long-term approach, a model that will reinforce the Spanish industrial companies.